Six years ago, Steven Knight wrote and directed a film that took place entirely in and around a car driven by a character portrayed by Tom Hardy. The film was called Locke and received near universal critical acclaim. It was a brilliant film that completely engaged film goers despite its unique concept. On paper, it sounds boring, but it's anything but. After seeing it myself, I knew this guy was going places. 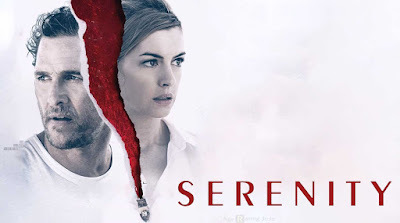 This month, Knight released his follow up, titled Serenity, which stars Matthew McConaughey and Anne Hathaway. Serenity tells the story of Baker Dill, played by McConaughey, a fishing boat captain with a mysterious past struggling to keep his business afloat (pun intended), whilst also drinking his life away. One day he receives a visit from his ex-wife, played by Hathaway who offers him a substantial sum of money to murder her current husband. So, on paper, this sounds like a standard plotline we've seen countless times. That's certainly what the marketing made it seem like. Crazily, there is much more than meets the eye. Early on in this film, something feels off. A couple characters are introduced who act strangely, especially for a film like this. They talk funny, or their movements are too jittery, or some combination of both. The island itself seems weird. The way gossip passes around the island, or the DJ on the radio talks, once again feel, off. The cinematography itself was bizarre. The camera movement was all over the place in a way I had never seen before in a film. I told myself there was no way this is from same director as Locke. Everything was just wrong. Let's take a break from all this weird stuff and make out! I'll put on the Catwoman outfit too! Eventually, there came a point in Serenity where everything takes a huge turn that nobody saw coming. It's crazy and ridiculous and not nearly as clever as it thinks. The film goes off the rails big time, and in doing so, seemingly accounts for everything strange that came before it. It seemed like Knight was trying to say, "See? It all makes sense now. Everything was like that for a reason." Unfortunately, it doesn't quite work that way. The first half of the film is still terrible and weird, and dropping a big twist in the middle doesn't make up for that. This film had no nuance or subtlety. Everything character or line of dialogue was overt. The villain of the story, played by Jason Clarke, is a prime example of this. I had an idea early on that maybe Hathaway's character was perhaps over-indulging in her description of how villainous he was. I thought maybe she was actually the true bad guy. Then Clarke's character makes his entrance, and from the moment he opens his mouth, you know he's the bad guy. Every line of dialogue was just over the top villainy it was laughable. If there's anything that represents what this movie is trying to be, it's this character. When the film ended, an older couple behind me loudly announced, "Well that was weird!" Of course, I silently agreed with them. 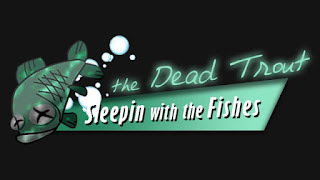 Quite frequently, I find myself discussing films with friends and something that always comes up is how weird a particular film might be; and I'm always saying what a good thing that is. I always say that weird is good. It means they're pushing boundaries, they're being creative, and most importantly, it means that they're not boring. However, this is not one of those occasions. Serenity is weird in a bad way. Having said that, I still think people need to see for themselves just how bananas this film gets. I saw Replicas just a couple weeks ago, and I told myself that one day it'll have midnight screenings like that of The Room. Now, I think there's going to have to be double features showing both Replicas and Serenity. I think they both just might be so bad that they're good. In one month, we got two brand new masterpieces of terrible cinema.